Up until a few years ago I was using other SEO software but always found them incomplete, many of them produce a lot of data that really has very little value. To answer the question of “what is the best seo software ” my answer is Jaaxy. It was created by marketers who rank many pages on the first page , in all the major search engines. Simply put I want to find keywords that I can write good content around, giving me to opportunity to easily rank within Google and other search engines. 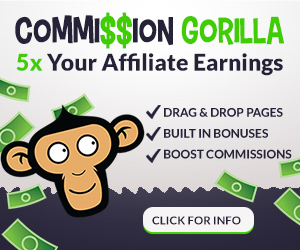 This will generate free organic, targeted traffic to my website. Jaaxy does this job very fast and accurately , it is easy to navigate and has a builtin Brainstorming function, this is brilliant for finding keyword phrases that would literally take hours to stumble upon. These are the traffic numbers that you should concern yourself with. this is the number of searches a keyword has per month. This is the total search traffic for that keyword . If your plan is to write a post based on your selected keyword my recommended minimum is 100 monthly searches. I know this is low volume but any traffic is better than none . This is true especially when you are starting out. This gives you the instant rating of keyword quality for all your marketing needs for Pay Per Click or Web Page Ranking. There is a quick and instant result populated to determine the quality of the keyword. This is REAL competition data. Information is quickly gathered from the search engines resulting in the exact number of competing pages there are under that EXACT KEYWORD search term. If you aim under 300, you have a very good opportunity to get ranked. Obviously the lower the number the better . There are a boat loads of these keywords available. This will become apparent as you use this tool and get the results. This number indicates whether or not a keyword is a good choice for SEO rankings. You want to see higher number here . The result are also color coded , green is a good thing . This is result factors are based on traffic, the way the keyword is positioned within the content, relevant competition, and the quality of the keyword. I performed a very broad search in Jaaxy, bikini underwear . I have been able to easily come up with 12 keywords ( actually 25 but i could not capture them all ) that should be simple to rank for in Google. ONE search, less than 15 seconds! This gives me enough “keywords” to start targeting the bikini underwear crowd if I choose. I hope this shows the efficiency of Jaaxy. Two searches and less than a MINUTE. I now have enough keywords to Rank, in niches I know nothing about. This sort of research would take anyone much longer to do manually and using other tools. That is if you will even get this sort of data results. Ok Whats it going to Cost Me ? I have only just scratched the surface of what Jaazy is capable of . There are niche finding functions, easily find what position your sites are ranked in Google, spy on your competitions sites, create and save keyword lists, find affiliate opportunities plus more but those are the main functions I use. Jaaxy will fit any budget, novice intermediate or advanced. There is another way to access Jaaxy and this is the way I stumbled upon it , Join Wealthy affiliate free for 7 days, see my overview of the program here, test out Jaaxy and if you like it you can upgrade at that time , If you decide that the Wealthy Affiliate program is for you Jaaxy Pro is provided to you free . Ready to start your own personal research with Jaaxy? Use the keyword research box below. I’m currently using the lite version of Jaxxy and it’s a must-have SEO tool for any blogger. I’ve been using it for a while now and using it to rank my posts with the best keywords. You said to aim under 300 for QSR to rank better, but sometimes I notice that even though I used a keyword where the QSR is 10 or below my post still doesn’t rank, do you know why? Hi Kent thank you for your comment , There may be a few reasons that your page doesn’t show up on the first page of google search results , domain age and page content can have an effect as well on your pages . Google needs to see that you are not just a flash in the pan and having your domain age will help your site rank better . Just keep adding quality content and It will help with all your pages ranking higher and higher . For online entrepreneurs that mostly depend on free traffic from google, ranking is a very important factor and one of the best ways to rank in google is when you make use of low competition keywords. This is where the tool Jaaxy comes into play as it can help to identify low competition keywords that one can make use of when writing an article or a post on a blog. I highly recommend it to bloggers as it can make your life as an online entrepreneur searching for low competition keywords much easier. I couldn’t agree more with you! Jaaxy has been a crucial component in my online success and I’m so happy it is so incredibly easy to use. Time and time again I have found perfect keywords that I would’ve never been able to think up on my own. It truly has MADE my online business. Thanks for the awesome review. It gave me some clarity on some Jaaxy components that I was a little iffy about. Thank you for your comment Michael , glad you found my review useful. To your success !! Thanks for sharing this post. This post came at the right time. I’m a newbie in online business and have been making researches on the best SEO software to use. This post has brought an end to my research. I have been convinced and I will Jaaxy a try. It will be a great tool. Thank you for your comment Lok Which , trust me you won’t be disappointed , sign up for the free trial and see what the features are , it is really user friendly !! Hi! Jaaxy seems a very powerful tool! it’s useful to have a review of the inside before choosing between one or another tool. SEO is one of the mosto important things to manage when you decide to go online and the infos provided by Jay seem to be awesome to start with the right step! Having this kind of review is helpful for those who are newbie! Thank you for your comment Miche , Jaaxy is a great SEO tool for both marketing newbies and more experienced affiliates as well that are trying to rank their pages in Google , Bing and Yahoo . The other good aspect of Jaxxy is there is a free trial so people can try it out before buying! This is a great review of a great tool! Jaaxy is one of the best keyword research tools. You have already mentioned the data it shows like competition and SEO ranking which is brilliant by itself, but Jaaxy doesn’t stop there. In my experience this type software is often very annoying to use, but Jaaxy is an absolute pleasure. If you ever feel like you are running out of ideas there are also other searches in Jaaxy such as the alphabet soup that can really help you get out of your own head and expand your creative thinking for post ideas. Your examples here are great and tally show how easy it is to use Jaaxy to find popular keywords. The brilliant thing is that they offer a free version. That means you can try it out first before you buy, but I am sure you will love how easy it I is to use and how valuable the information is. This is an excellent review of Jaxxy. I had never heard of it until I joined WA which I am glad I did. I tried some other programs before, but struggled. I like how easy to use and relatively affordable Jaxxy is. I also really like that you wrote about KQI and QSR. These are definitely useful when it comes to selecting high quality keywords for your website. I struggle trying to come up with keywords, so this will be an invaluable tool for helping me research and come up with content ideas. I love that it shows the SEO rating. Do you know if the free account gives you 30 free searches in total or per month? Hi Fiona yes that is correct , the free version gives you 30 free searches which is plenty to get anyone started. Thank you for your comment check back for more updates . Great review of Jaxxy. Yes, I started using the SEO program a few months ago and love how easy it is to navigate, find proper keywords & phrases, and keenly understand how they will rank in my posts. You are right that Brainstorming built in function for key phrases totally helps me and frees up research time when I am looking for alternative phrases to rank high in the search engines. Hi Jim , yes I believe it is the best seo software that can be found , reasonably inexpensive and easy to use . thanks for the comment !! Great suggestion for software. I use Jaaxxy and I love it. It makes finding a great keyword easy. I like the QSR and the other stats that are important when you seek a keyword that can improve your ranking. As you stated, the data is ‘real-time’ and current so it makes your choice easier before you start your writing process. So many choices…at least 10, which can keep you busy indeed. Thnx for getting the word out about Jaaxxy. Hi LT , great I am glad you enjoyed it . Yes you can easily find your rank for am=ny keyword that ou have used in a recent post or page by simply entering it into the search function , Jaxxy will analyze and compute the ranking result within Google in a matter of seconds .